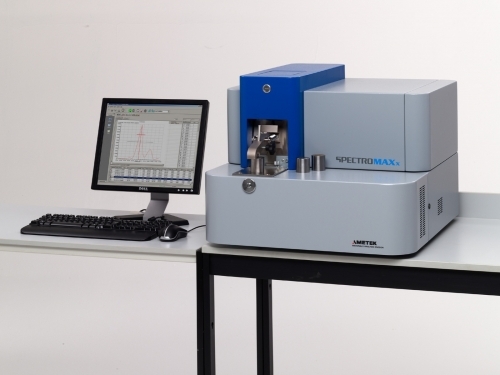 The latest generation of the SPECTROMAXx Optical Emission Spectrometer from SPECTRO Analytical Instruments incorporates several performance-enhancing innovations. CCD detector technology combined with the stability of temperature-controlled optics mean significantly better detection limits for elements like nitrogen – now down to 10ppm – and this from a bench-top instrument. Such performance is usually associated with large stationary spectrometers costing considerably more than the SPECTROMAXx. Performance must be combined with reliability and usability, and in the new SPECTROMAXx an integrated diagnostics facility continuously monitors, archives and displays the operational status of all important components and systems. For ease of use, the SPECTROMAXx now has the Spark Analyzer Vision Software already proven in SPECTRO’s top-of-the-range SPECTROLAB systems.